Save money by booking a South Plainfield travel package. Just pick out your favorite options and let Expedia do the rest. Smart vacationers who book a package deal on Expedia can save as much as C$590*. Pick from more than 400 partner airlines and 321,000 worldwide properties on our comprehensive database of flights and accommodations. Fly with who you want, stay wherever you want — now that's the ideal vacation! Need more time to decide? There are no extra charges from us if you make changes to almost any reservation. Getting excited about your trip to South Plainfield? After some info about what to do and see when you arrive? That's where we can assist! Enjoy quality recreational and leisure facilities along with extraordinary service at Plainfield Country Club. This exclusive retreat is the place to go for some premium R&R. Still have some time on your hands? The intimacy and mastery of theater has to be experienced. Book your ticket for a show at Circle Playhouse and experience its magic and charm for yourself! Seeking out luxury getaways and cheap vacations in South Plainfield? Sadly, accommodations are few and far between. However, if you don't mind traveling a bit further away, you'll discover there are no less than 26 options nearby. If you're having problems choosing a place to stay, check out the Hyatt Regency New Brunswick (2 Albany St) and the APA Hotel Woodbridge (120 Wood Avenue South). Getting a flight to Liberty International Airport (EWR)? It's 14 miles (23 km) to the northeast of the heart of this neighborhood. Time to claim those bags and get your trip to South Plainfield started! 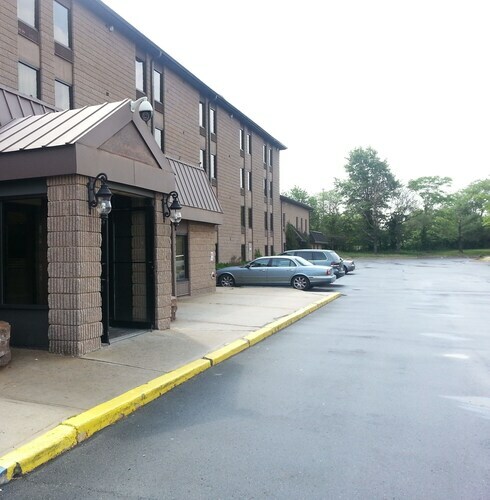 Situated in South Plainfield, this hotel is 1.2 mi (1.9 km) from Middlesex Mall and 2.9 mi (4.7 km) from Circle Playhouse. Rutgers University, Busch Campus and Triple C Ranch and Nature Center are also within 6 mi (10 km). 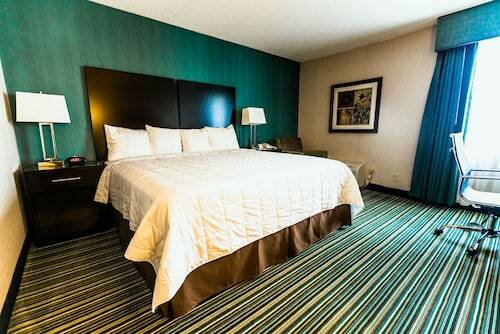 Situated in South Plainfield, this hotel is 1.2 mi (1.9 km) from Middlesex Mall and within 3 mi (5 km) of Circle Playhouse and Triple C Ranch and Nature Center. Rutgers University, Busch Campus and Plainfield Country Club are also within 6 mi (10 km). 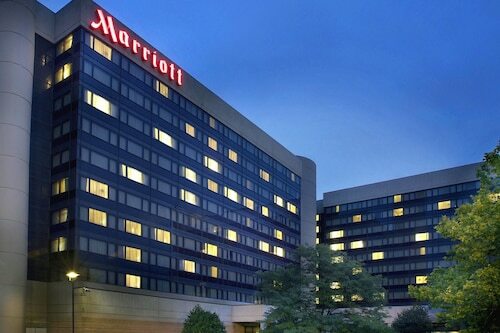 Situated in the business district, this hotel is 3 mi (4.8 km) from Rutgers University, Busch Campus and within 9 mi (15 km) of Rutgers New Brunswick and Middlesex County College. Thomas Edison Museum and Menlo Park Mall are also within 9 mi (15 km). 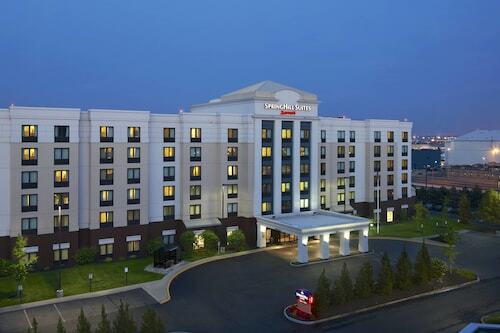 Situated in South Plainfield, this hotel is 0.2 mi (0.4 km) from Middlesex Mall and 8.9 mi (14.2 km) from New Jersey Convention and Exposition Center. Jersey Gardens Outlet Mall is 22.4 mi (36.1 km) away.